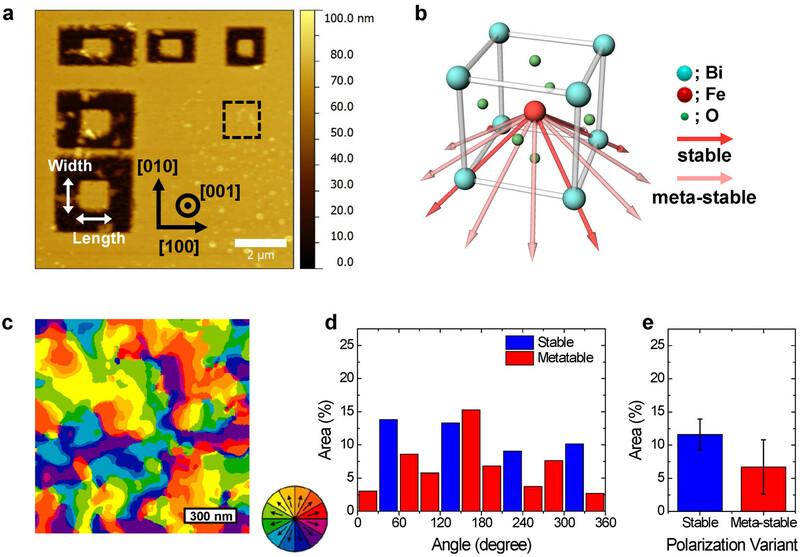 Inspired by Kristen M. Burson et al.’s “Resolving amorphous solid-liquid interfaces by atomic force microscopy”, Applied Physics Letters 108, 201602 (2016); http://aip.scitation.org/doi/abs/10.1063/1.4949556, the scans below were made by Dr. Roger Proksch of Asylum Research using a NanoWorld Arrow UHF AFM probe and an Asylum Cypher Atomic Force Microscope. Figure 1. Topography images of disordered lattice imaged at an amplitude setpoint of 2 nm. a) 10nm scan and b) 5nm scan. Both images clearly demonstrate sub-nm amorphous glass surface. Using blueDrive and the NanoWorld Arrow UHF AFM tip, it was also possible to simultaneously map the topography and tip-sample stiffness using AM-FM mode (Figure 2). Like Burson et al., a disordered-appearing surface, with length scales similar to those reported in that paper could be seen. Interestingly, these structures were visible with slightly different resolutions with every attempt made. This is a testament to the low noise of the Cypher AFM and to the reliable sharpness of the Arrow UHF cantilevers. Courtesy of Dr. Roger Proksch, Asylum Research, an Oxford Instruments Company.